Can be used as a continuation after breastfeeding, or if your baby's hunger cannot be satisfied with the Holle Organic Infant Formula 1. 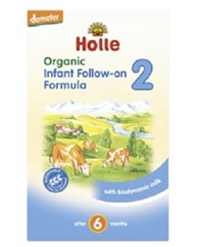 Holle Organic Infant Follow-On Formula 2 can be given as of 6 months of age and will be more suitable for your baby's nutritional requirements and should form part of a balanced diet including bottles and porridge meals. Holle Organic Infant Follow-On Formula 2 is hunger satisfying, developed to meet a baby's nutritional requirements. 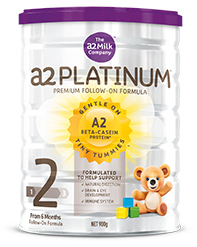 This product is suitable for feeding in a bottle until the third year after birth.